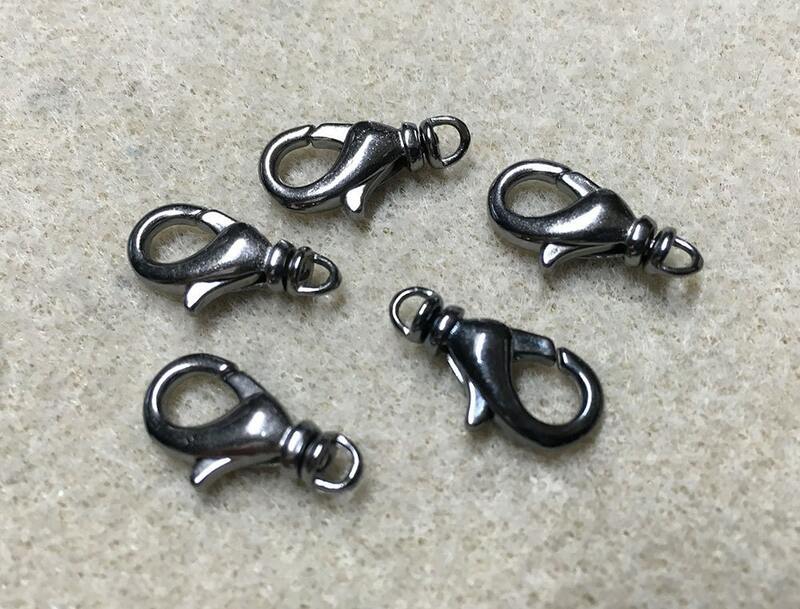 6 Gunmetal plated brass swivel lobster claw clasps measuring 15mm x 8mm. Great finishing touch for your beading projects! The swivel allows the design to twist 360 degrees while the clasp stays in place. Good quality swivel clasps in just the right size: big enough to hold on to but not so big as to detract from the design. Glad to find them in the gunmetal finish, too.